Maybe it’s an age thing but I suddenly woke up one morning with a strong urge to tick brewing my own beer off my bucket list. I’m not sure if this was partly inspired by Hank Schrader brewing his “Schraderbrau” in the TV show Breaking Bad but I know what I wanted to do but not sure what I needed to get started. After turning to Google for help, I ended up feeling even more baffled as I read about a world full of pressure barrels, CO2 bulbs, syphon tubes, sediment traps and fermentation buckets but I quickly realised that it doesn’t have to be as complicated as it sounds, so thought I would buy one of the starter packs and document how I get on. Another problem I had been arguing with myself about was the age old choice of bottles vs keg, the idea of individually transferring beer into 40 different bottles seemed a little cumbersome for someone like me, not to mention the potential grief from my other half of introducing a giant bucket and 40 bottles into our humble home but equally you can’t get a keg in the fridge for an ice cold beer. 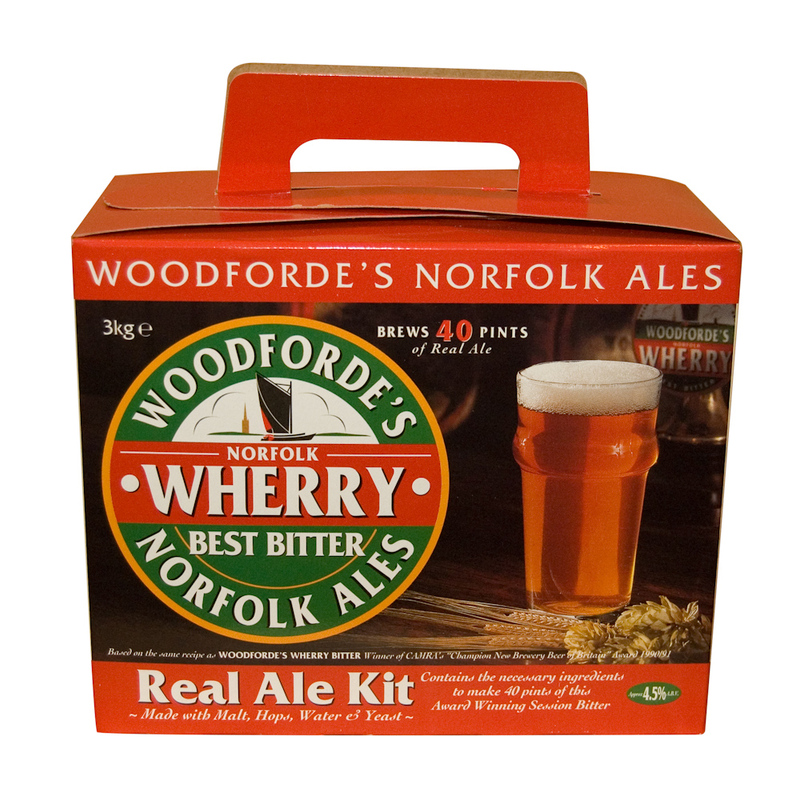 As we are heading into the winter, I thought my ideal introduction in to home brew would be the highly rated Woodforde’s Wherry so I naturally opted for their ultimate Micro Brewery start-up kit that would contain everything I need to make 40 pints.